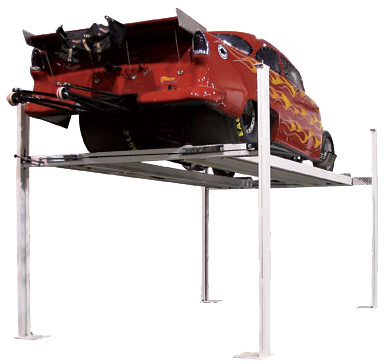 The Razor Trailer Lift has set a new standard in trailer lifts. 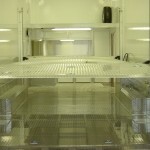 Our razor-thin column design provides unsurpassed between-post clearance. 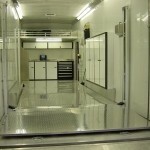 The Razor Trailer Lift will accomodate almost any vehicle, even wide cars like Lamborghinis or late model dirt cars. 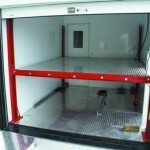 Big, bulky columns won’t take up valuable space in your trailer anymore. 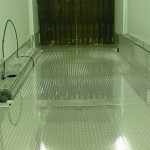 Each unit is custom built one at a time in our state-of-the-art facility in Burleson, TX. 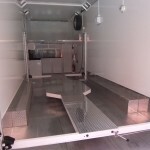 The Razor Trailer Lift is available in 4,000 and 6,000 pound capacity models. 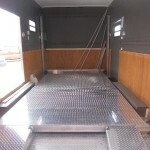 You can order our standard lengths and widths or have one built to your specified dimensions. Your safety and the safety of your vehicle are our top priorities. 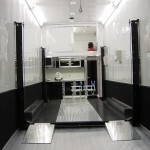 Many of the same safety features that have made our SG-7000 series the most popular hobby lifts on the market have been incorporated into the design of the Razor Trailer Lift.